What is a Terrarium? 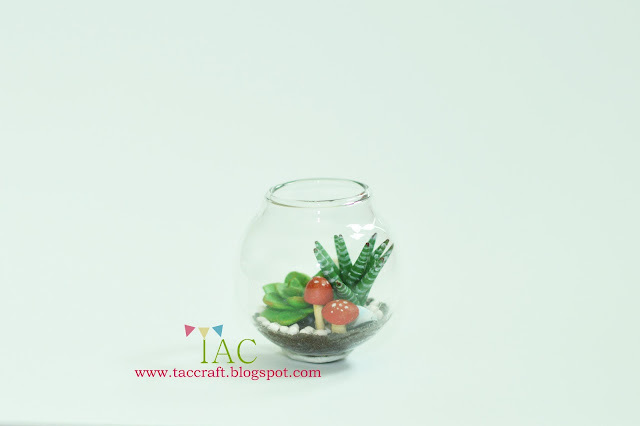 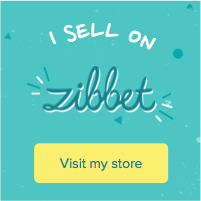 It is a sealable glass container that can be opened to access to the plant and is usually arranged in such a way like a mini world of garden or fairy garden of your dream. 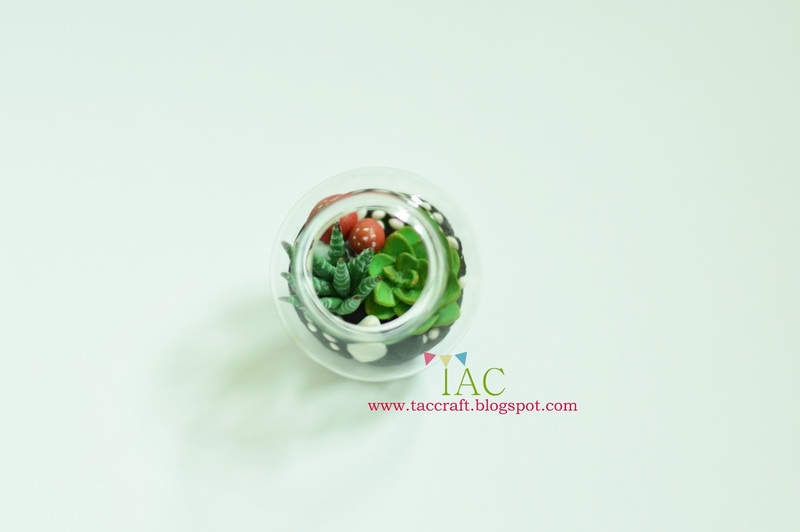 It is very popular recently in my country. 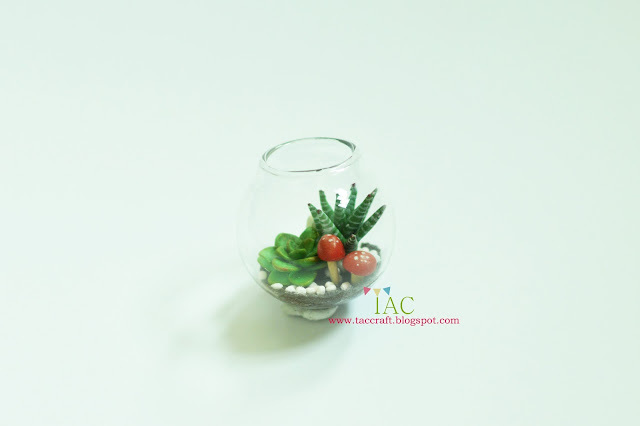 Workshops on how to DIY your own terrarium is in a very hot demand. It's easy to take care and such a beauty to enjoy indoor or outdoor. 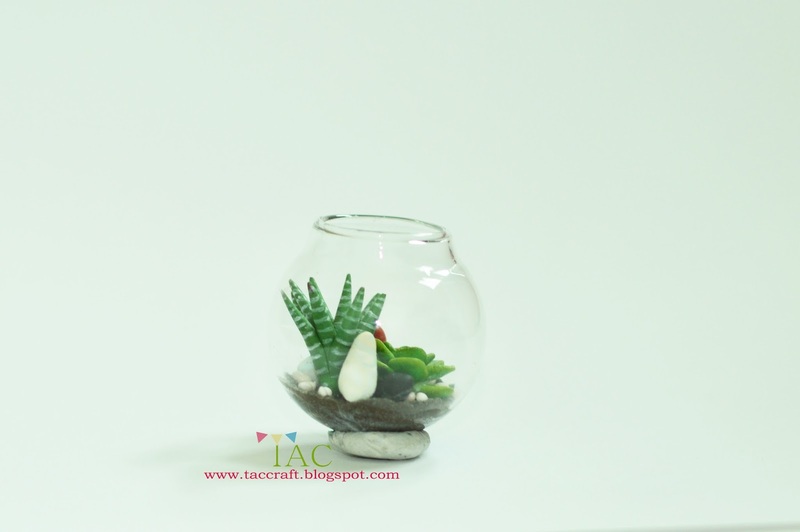 Some people place their collections on the top of their dining table as center piece instead of flowers which is a very good idea and sure refreshing to the eyes. 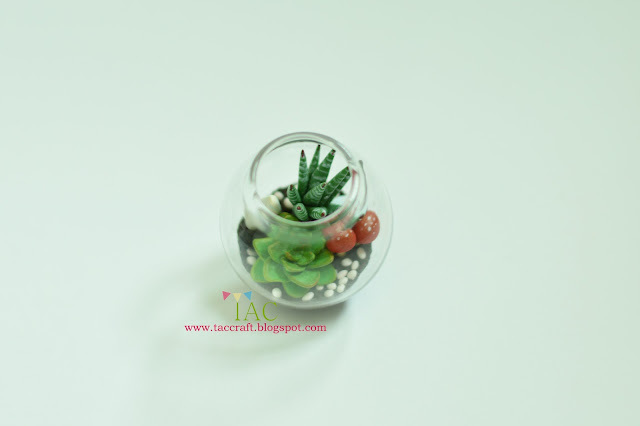 Here is my very own terrarium..
Maybe I will make it into a necklace too, so I can carry it with me everywhere I go. 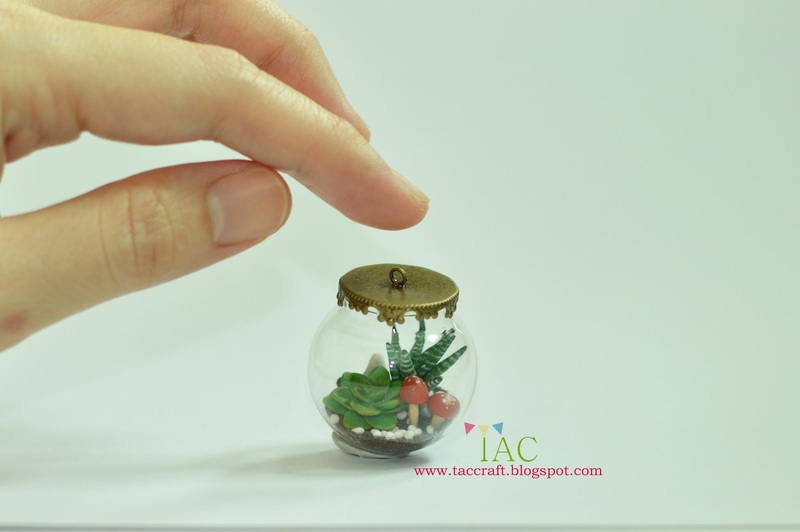 I will make more of this cute Terrarium so that if any of you would be interested to own this beauty, you can have it too ^^ soon.